Isanaki Sudoku 2.6b is a free Multilingual Sudoku and Wordoku Game, a Sudoku Board Generator, Solver and Printer designed for Windows 2K and XP. In this release, using the brute-force technique, it solves all boards (to the best of my knowledge) and, using logical deduction, it solves most of the hard Sudoku boards. Isanaki Sudoku 2.6b supports English, French, Spanish and Dutch languages... More to come according to request !!! Isanaki Sudoku 2.6b is a simple executable file. No complex installation scripting required. Just extract the files from the .zip and copy them wherever you want. I would recommend to create a sub-directory ( i.e Isanaki) in the directory C:\Program Files. Note that Isanaki Sudoku 2.6b is provided with a text file containing a list of common 9 letters Words ( in fact, a simplified version of a text file kindly provided by Michael Markov). This file is used by Isanaki Sudoku 2.6b to assign letters in Wordoku Boards. Additional languages will be added according to proposed collaboration. Note that the help for translation is done strictly on a voluntary basis. I will be grateful to you and award your work in the Web Site and the About Box of Isanaki Sudoku. Please contact TGMDev for more informations. 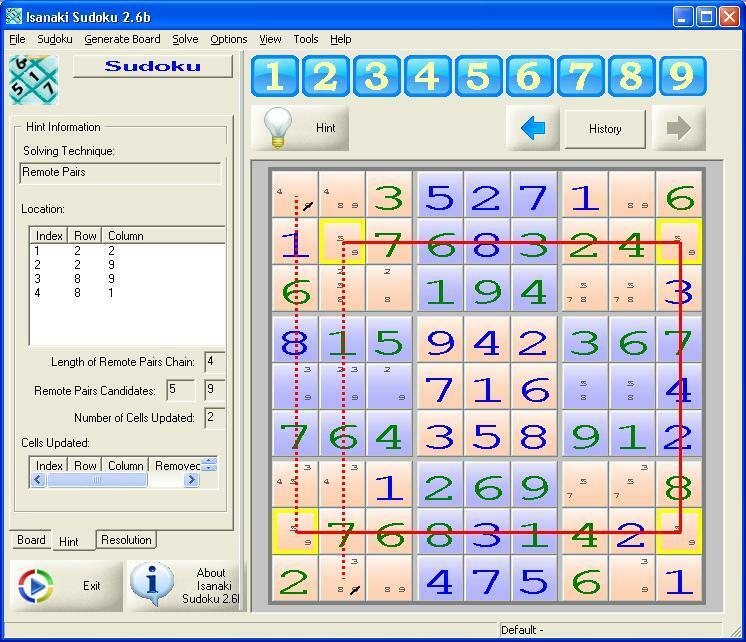 Since version 2.0, Isanaki applies the most common techniques used to solve Sudoku boards. Advanced techniques are added in each release of the application. Meanwhile, its resolving capacity is able to solve most of the boards found in magazines or on the Web. Isanaki Sudoku 2.6b provides support for customizable solving techniques hierarchy. Using this advanced option, it is possible to control the way Isanaki Sudoku 2.6b solve the board. The default behaviour remains unchanged: simplest techniques first, then techniques with increasing complexity and, finally, brute-force guess. This ranking can be modified and stored for later reuse. 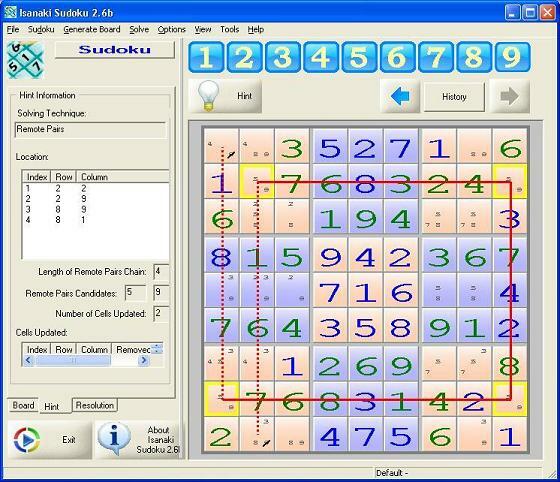 Isanaki Sudoku 2.6b handles up to 20 different solving hierarchies. The TGMDev computers are protected by the latest version of Norton Internet Security. To the best of our knowledge, the application is virus-free. Also, Isanaki Sudoku 2.6b is guaranteed to be spyware-free. The application Isanaki Sudoku 2.6b is written according to the standard techniques and recommendations for the development of applications for Windows. The application has been tested extensively to verify its correct behaviour and memory management and to determine its effectiveness on different computers including network-linked computers. Download and Use of this software indicates your acceptance of these terms and conditions.